Sedona Red Rock Tours was recently honored by the U.S. Forestry Service when they awarded us with one of their new Metaphysical Outfitter Guide Permits. They only gave out 5 permits and that’s it for the next 10 years! This is major recognition by our government of the powerful energies here in Sedona and Sedona’s role as a spiritual destination for people from around the world. We are grateful that they have recognized our role as qualified representatives of The Spirit of Sedona. 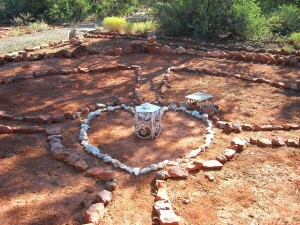 This means we can take YOU to the mystical vortexes for a truly authentic Sedona experience! Akal is one of our Sedona shamanic guides. Akal has studied with shamans around the world–the Cree Elders in Canada, the Curanderos in Costa Rica, the Ayahuasqueros in Peru and many multi-dimensional Wisdom Keepers in Sedona. He was a student of Osho and studied White Tantra and Kundalini Yoga with Yogi Bhajan. His studies have included humanistic psychology, Kabbalah, Keys of Enoch, alchemy, the Mayan Calendar, Sufism and various other spiritual, mystical and metaphysical teachings. This makes his sharing very diverse, unique and expansive. Akal is a veritable library of ancient knowledge and esoteric information. He is a wonderful guide and each tour with him is a sacred ceremony. His guided meditations at the vortex sites have been called profound and transformational. His drumming and chanting will transport you to a higher plane. Akal is also available for spiritual counseling sessions via Skype or by phone. 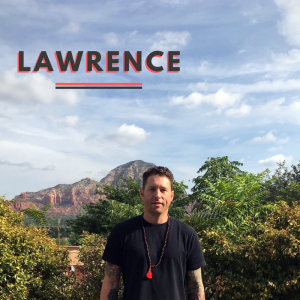 In Sedona, Lawrence has found a deep and sacred connection to the land and mother earth, the importance of raising his own vibration and how to move through this journey with an open heart. Lawrence started practicing meditation in 2006 and has studied with many skilled and compassionate meditation and yoga teacher trainers. He is certified by Ruth Hartung of Seven Centers Yoga Arts and David Vendetti of South Boston Yoga. 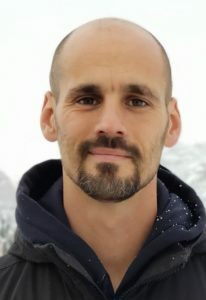 He completed meditation facilitator training with Noah Levine in 2012 and in 2013 became a Certified Yoga Therapist through the school of Integrative Yoga Therapy under the guidance of Joseph LePage. Lawrence is also a Reiki practitioner and has studied Ayurvedic medicine extensively. He taught yoga, meditation and breath work workshops and classes for 4 years in Boston and opened a vegan and gluten free café in Florida. 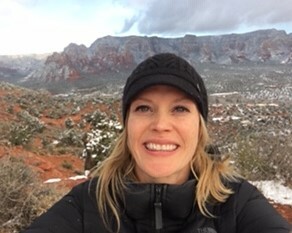 Lynn’s passion is to utilize the natural beauty of Sedona and the stillness of meditation to bring you into the present moment where all problems dissolve. She has traveled and lived in different countries, and it is her joy to bring together people of different cultures and world views and show them the natural connection we all share, as a way to break through the illusions of what we feel separates us. 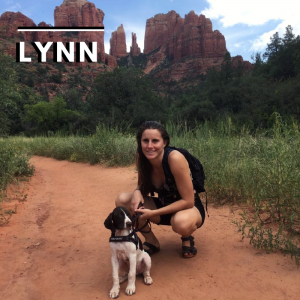 With a background in psychology and many deep explorations into the nature of consciousness itself, Lynn offers a dynamic approach for people looking to have a meaningful experience while in Sedona. This can include anything from experiencing your own body’s energy flow for the first time or sharing deeply about fears and traumas you would like help with releasing. Lynn utilizes practices such as vipassana meditation, Dahn yoga, trauma counseling, Emotional Freedom Technique and many other modalities. Her natural enthusiasm and childlike nature will allow you to feel that you can be your natural and authentic self while you access deeper states of consciousness and join her in that space of being. 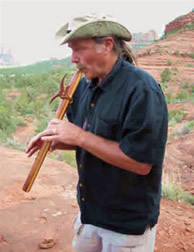 Pete first visited Sedona as a teenager and felt the calling of the Sedona Vortex Energy immediately. After many visits, he answered the calling and moved to the area. He understands the power of the vortexes and loves helping people understand and tap into the energy. Pete has several years of experience as a one on one Spiritual/Life Coach and in the healing art of Reiki. He has a passion of sharing and teaching others what he had learned over the years from his experiences and helping people see their deeper worth. He finds ease in relating to anyone and assisting other with their spiritual development. His main goal is facilitating the release of old beliefs and patterns that no longer serve. He believes the energy of Sedona is a powerful aid in doing just that. He has a strong intuitive ability and empathic sensitivity. Pete enjoys hiking, camping, mountain biking, and playing music in his spare time. “We really enjoyed our tour with Kelly. She was great very friendly and knowledgeable. She took us to very peaceful spots. We really loved her passion and energy! Kelly has a B.A in Psychology. She has trained and mentored professionals who are interested in increasing body image and self-esteem for women. As a healer, she utilizes a triangular method that incorporates spiritual, emotional and physical angles to create the whole. Kelly works with the Reiki modality to clear energetic blockages and assists in uncovering the Authentic self, resulting in purpose directed lives. Her work with shamans in Peru and here in the U.S. has led her to Sedona to practice her passion of teaching oneness. She utilizes meditation, nature and physical movement to show that we all have the gift of compassion inside of us for one another. Our entire experience of Sedona Red Rock Tours was EXCELLENT. Iala provided superior customer service from our first call answering all of our questions continuing through the follow-up after our tour. Akal was extremely knowledgeable and personable. I loved the commentary and delivery. I was concerned about my physical ability to see all that was offered. Akal was very gracious with me encouraging me to stretch, respecting my limits, and provided an amazing experience. Our entire party enjoyed the event and recommend everyone book Sedona Red Rock Tours! The best! –Charlene S.
BOOK OUR VERY POPULAR VORTEX/MEDICINE WHEEL COMBO TOUR SPECIAL...A 4-hour tour for up to four people for only $480, this tour combines the magic of the Sedona vortex experience with a sacred Medicine Wheel ceremony.